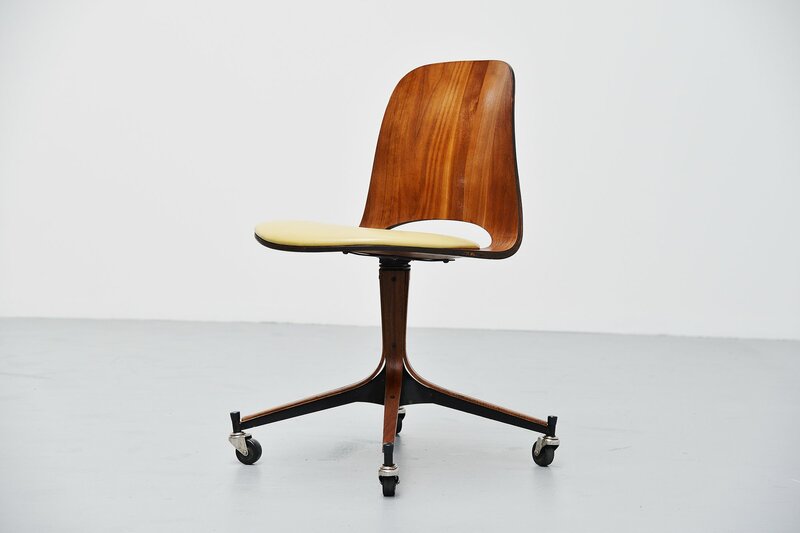 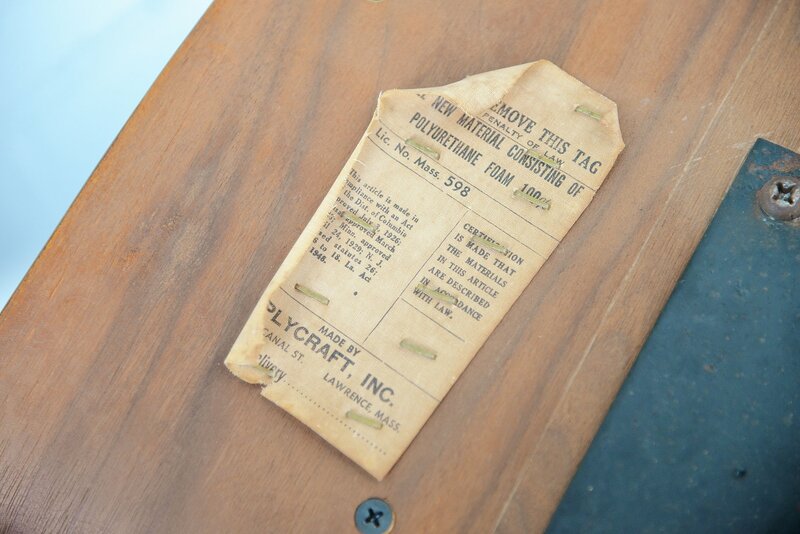 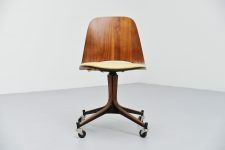 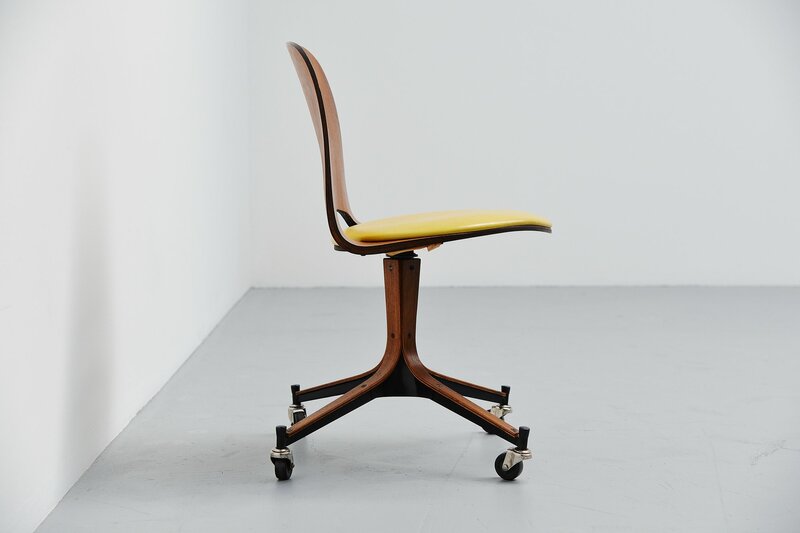 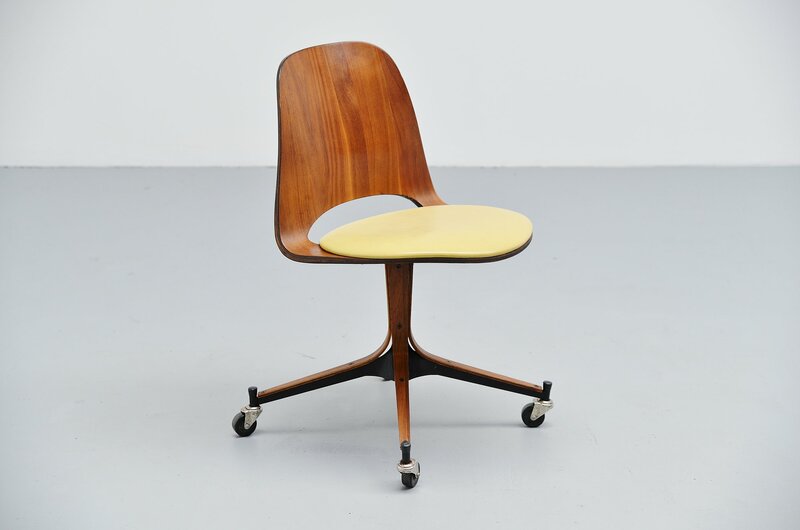 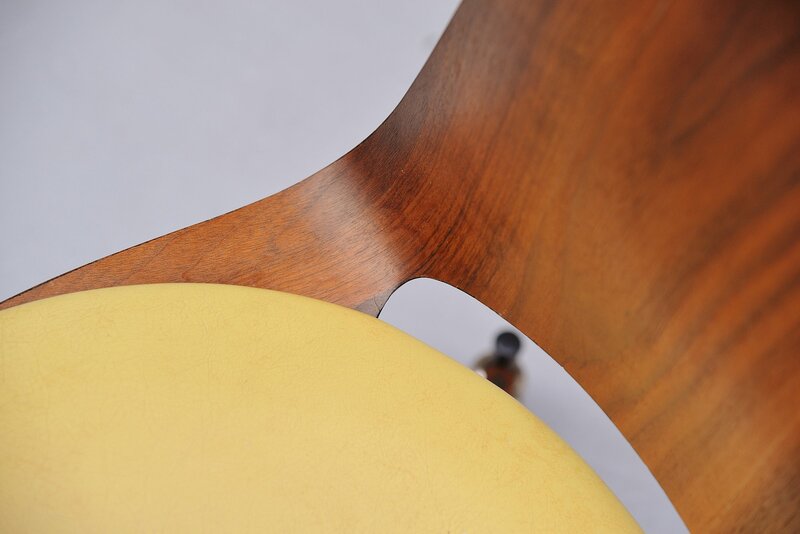 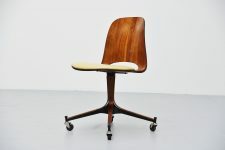 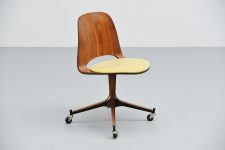 Fantastic shaped rosewood desk chair designed by George Mulhauser and manufacturer by Plycraft, United States 1950. The chair has a rosewood plywood seat and a yellow seating cushion in faux leather. 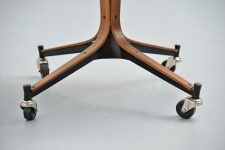 The base is made of metal finished with rosewood plywood as well. 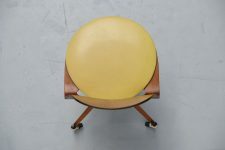 The chair swivels 360 degrees and seats very comfortable. Great to use as desk chair.